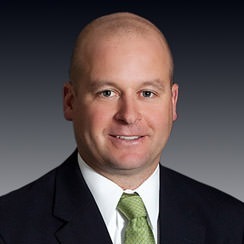 As head of the Raleigh regional office and Vice President of Development, Jeff is responsible for the development, design, construction and stabilization of Northwood Ravin’s multifamily and mixed-use developments. Working closely with the development, general contracting and property management teams, he has been a key contributor to the successful development of over 6,000 residential units and 1,000,000 sq. ft. of commercial. Jeff's active projects include multiple projects in construction as well numerous pursuit opportunities in the Southeastern U.S. He successfully served as the VP/development manager for signature mixed-use projects including Capitol View in Nashville, TN, Carolina Square in Chapel Hill, NC, as well as Bradford in Cary, NC. In addition to being a registered professional engineer and licensed North Carolina real estate broker, Jeff is a LEED AP and works closely with the residential team to implement and improve luxury, sustainable features into the pipeline of projects. Prior to joining the Northwood Ravin, Jeff served as Director of Development in the multifamily group for Crosland. Previous to that role, he was in the Crosland Retail division and managed the development of 3 shopping centers. Professional experience also includes land development design management and 7 years of active duty military service as an officer in the US Navy Civil Engineer Corps.